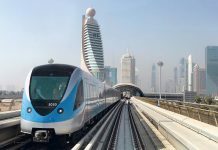 Dubai: Bus shelters across Dubai have turned into virtual roadside ovens with the air conditioning out of order in many, an XPRESS survey has revealed. * Image Credit: XPRESS * The AC unit missing on this one in Bur Dubai. 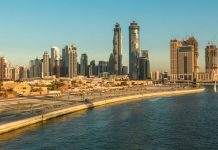 A sample survey done on Sunday in Dubai’s highly populated areas such as Karama, Bur Dubai, Jumeirah and Al Quoz showed that 12 out of 38 bus stops – nearly one in three – did not have air conditioning. 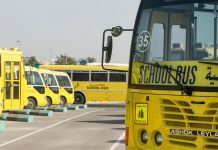 Outdoor temperatures in Dubai hover in the mid-40s , but the noontime temperature inside these un-cooled bus shelters were up by at least 10 degrees – 55 degrees Celsius – with dead heat trapped inside the glass-and-metal shelters, turning them into scorching ovens in the fierce summer heat. 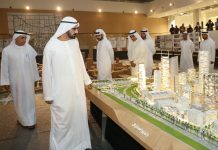 “It does not make sense to have these bus stops with huge advertisements and people staying outside,” said Mohammad, an Arab who uses public transport. 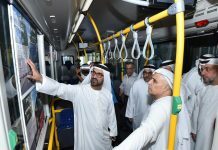 Fareed, an Indian executive, said that at one place on Karama’s Kuwait Road opposite Al Attar Building, only one out of the two bus stops had a working AC set at 23 degrees C.
“People tend to cram inside one of the two double bus stops as the other one is horribly hot,” said Fareed. 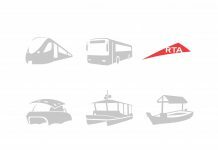 There are about 900 air-conditioned bus shelters in the city, but it is anybody’s guess as to how many of them have working air conditioning. Patrick Chaundy, president and chief executive of Right Angle Media, the company behind the sleek stops which has struck a deal with the Roads and Transport Authority, said they are aware of the situation. He attributes it to electrification issues in some cases – as well as vandalism. “We’re working with the Roads and Transport Authority in the spirit of cooperation to address the challenge of electrifying and cooling the shelters,” he said. XPRESS, however, came across two bus stops side by side along the busy Mankhool Road without air conditioning – either because AC units were off or they were simply not there. Chaundy said certain stops had been vandalised and warned culprits could face fines for damaging what is considered public property. 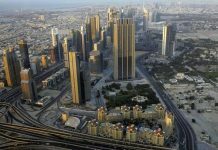 A bus stop where a poster says “Dubai is 22 degrees all year round” near Oasis Centre on Shaikh Zayed Road, was searing hot as the sliding door was missing. 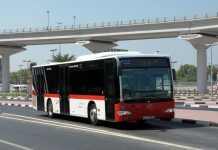 An RTA official said that while the sheltered air-conditioners are efficient, their poor performance is due to the fact that some users leave the doors of these shelters open for long periods which makes the A/Cs trip.